LionsDeal > Tabletop & Bar > Restaurant Dinnerware > Melamine Dinnerware > Classic Melamine Dinnerware >< Nustone White Melamine > Thunder Group NS110W Nustone White Melamine Dinner Plate 10-1/4"
Thunder Group NS110W Nustone White Melamine Dinner Plate 10-1/4"
Classic and practical, the Thunder Group NS110W Nustone White Melamine Dinner Plate 10-1/4" is suitable for both casual and formal dining affairs. 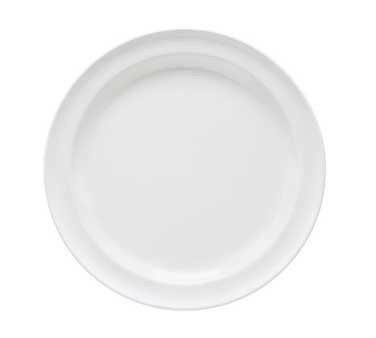 Designed with a fresh white color, this plate will match any restaurant setting and its simple design makes it great for all types of dining establishments. Made of highly durable melamine, this dinner plate is break-resistant and strong enough to handle heavy use without cracking or chipping. In addition, it is dishwasher safe and its white surface will not get stained or scratched over time. 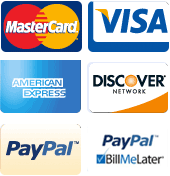 Use it in your restaurant or hotel to serve entrees, sides, appetizers and more. The plates are sturdy and good-looking. The ordering process was easy, and the package arrived in good condition and in a timely manner. Wonderful quality, fast shipping, easy to clean - these plates have many parties in their future! Very satisfied with the Melamine plates. I looked quite a while before buying them. Definitely a very good price. Description says "dishwasher safe top rack only", I have been placing mine on the bottom rack without heat drying and have had not problems. Love 'em! I was looking at pottery barn for outdoor plates but they were more than I wanted to spend. I needed enough to serve a team. These plates are perfect for outdoor entertaining and are half the price. I got the white and they go with everything. Put in dishwasher and are fine.